We’re back with the complete second arc of Goseiger! This time around our heroes go from fighting aliens to fighting cryptids and movie monsters. This arc is when Goseiger starts to hit its stride and gets really good. On my first watch I didn’t find the UMA to be all that interesting and I much preferred the WarStar. This time around I’ve found the UMA to hold their own and actually be rather interesting villains. They’re a cool band of monsters, and their suit designs are just as top notch as the WarStar’s. I especially like King-Gon’s suit, mostly because it gets pretty obvious that they stopped brushing his fur down as the episodes go on. It really adds to his bigfoot-esque appearance in my opinion. If you’re really craving some more WarStar though then fear not, because we’ve included the very awesome ‘Epic on the Movie’ in this batch. Epic on the Movie was Goseiger’s summer film. It runs about 30 minutes so it’s really more like another episode of the show, but with the budget of a movie. Epic was released on August 7, 2010 alongside the equally epic Kamen Rider W A to Z: The Gaia Memories of Destiny. That places it between episodes 24 and 25, but we recommend watching it in between episodes 21 and 22, or in between 22 and 23. Watching it between 21-22 and 23-24 would be a slight problem, since the ends of those episodes each have a little teaser for the next one. We used a Blu Ray raw for Epic and it looks incredible! There’s tons of detail in this film, and I really do mean it. The mecha fight is just amazing! There’s all these little billboards, and signs, and cars that just add so much detail to the scene. To top it off you have actual, real, non CG, explosions going off while the two suits brawl. Throw in one of my favorite Sentai movie mecha and you’ve got one hell of a fight. The rest of the movie is just as awesome, but the mecha fight is the sweet icing on the cake that is the visual treat known as Epic on the Movie. Grab some popcorn, and the theatrical cut of W A to Z and have yourself a double feature. Also the WarStar Monster File has been updated to show the monsters from the Movie. Now I’m gonna go through each episode one by one, just like I did last time and give a short thought about it. Epic 17: MOTHER-TRUCKIN’ GOSEIKNIGHT! ‘Nuff said. Epic 19: Ninja Sentai Kakuranger VS Goseiger! …kinda. Not really. It should be though! Epic 20: Love is a battlefield! Epic 21: Eri-don looks incredibly delicious. Also there’s lot’s of cooking, and an amazing monster fight. Eri is best Goseiger, but not best cook. Epic 22: GROUND GREAT STRIKE! Epic 23: Best watched on a hot summer day with no air conditioning on. Or, with the air condition on so you can laugh at everyone in this episode. Your choice. Epic 25: Moune gets all nostalgic. Epic 28: Amachi steals the show. He really is the best Dad. Epic 30: Move aside Wizard ’cause Eri is all the hope you need! Epic on the Movie: It’s a WONDERfully EPIC movie. Everything is just amazing. I hope you all enjoy this batch of episodes, and when Goseiger comes back things are gonna get a little mechanical. You better brush up on your robot movies in the meantime. This second arc of Goseiger is most typically called the UMA arc, after the name of the villain faction for the piece. As you can see from this arc’s cheat sheet, the monster references for this arc becomes both more complex and a bit less consistent. The theme of this arc is meant to be “monster panic” movies. A “monster panic” movie is essentially any film that concerns people who are disturbed or upset by the existence, or possible existence, of some strange creature. What the creature turns out to be is less relevant than the panic it causes. As you’ll see from the cheat sheet, though, some of the films are stretching the premise a bit. Monsters in the UMA arc have a few features that are distinct to their faction. UMA monsters generally add a single kanji to their name. While the kanji themselves do have a connection to the monster’s gimmick, it’s usually rather superfluous. In translating names,we gave priority to expressing the movie title references. Bladerun’s name does change to incorporate a kanji, so we write the character’s name somewhat differently in this story arc. You may notice that all UMA monsters have a hyphen placed somewhere in their names, so Bladerun becomes Blade-Run. Monsters in the next arc of the series will change their name scheme yet again. A handful of the UMA monster names also double as full phrases. This only applies to a select few of them, though. In the cases where a monster’s name also has meaning a phrase, a translation is supplied in the cheat sheet notes for that monster. 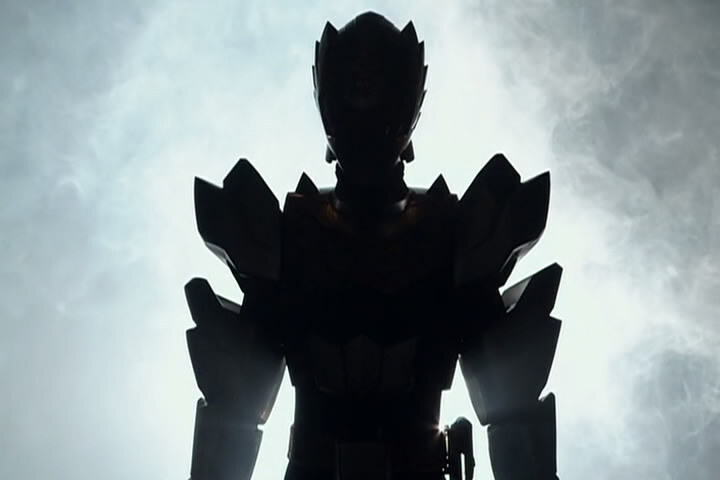 The UMA consistently refer to humanity as “hito,” rather than as Earthlings (chikyuujin) as the Warstar did or Humans (ningen) as the Goseigers and GoseiKnight do. While “hito” most commonly is just another word for human or person, it’s also the name given to the human species, i.e. homo sapiens. To emphasize the other-ness of the UMA and the way each faction uses its own term for humanity, we decided to render this term as “sapiens” where it was used. “Humanoids” and “Hominids” were also considered, but all of the UMA are technically humanoid. Some such as Kin-Gong are actually classified as hominid by cryptozoologists. Both terms seemed to be a little awkward.